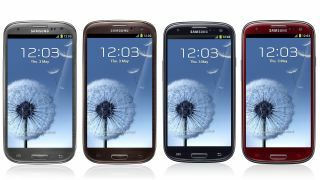 Samsung Mobile boss JK Shin wants the company's flagship Galaxy S3 smartphone to reach 30 million sales in 2012 as it prepares to go head-to-head with the iPhone 5. The Korean giant has already amassed a whopping 20 million sales since it became available at the end of May this year. In a bullish claim Shin told Korean news agency Yonshap that it can add another ten million devices in the final quarter of the year, despite solid competition from a new Apple device for the first time. In the first four months of its existence, the S3 has only had to content with a dated iPhone 4S. Many buyers have chosen the Samsung smartphone rather than wait for the iPhone 5. Shin also says he expects the new Galaxy Note 2, which goes on sale in mid-October, to rack up 20 million sales worldwide, over the course of its existence. That would double the figure achieved by the original Galaxy Note 'phablet' which surpassed the expectations of most observers. Samsung has set itself some big targets, but the company has specialised in surpassing expectations in the last couple of years.